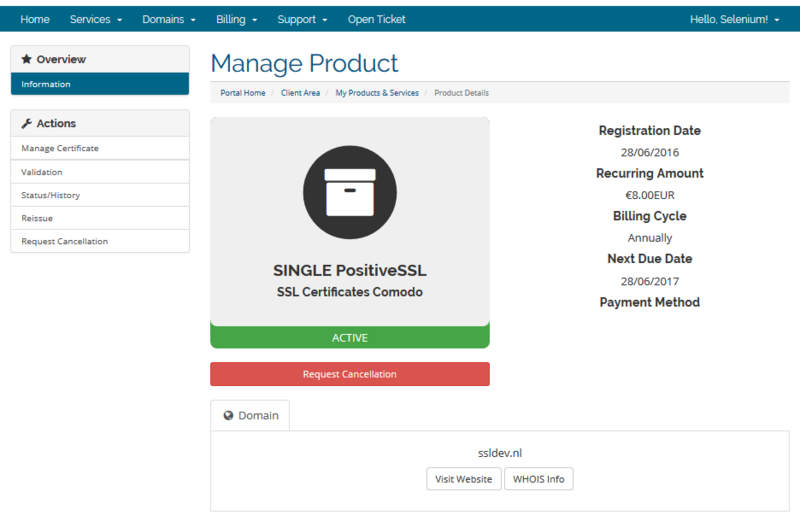 Easily sell, request and manage SSL certificates. Certificates from Comodo, Symantec, Thawte, GeoTrust & GlobalSign. 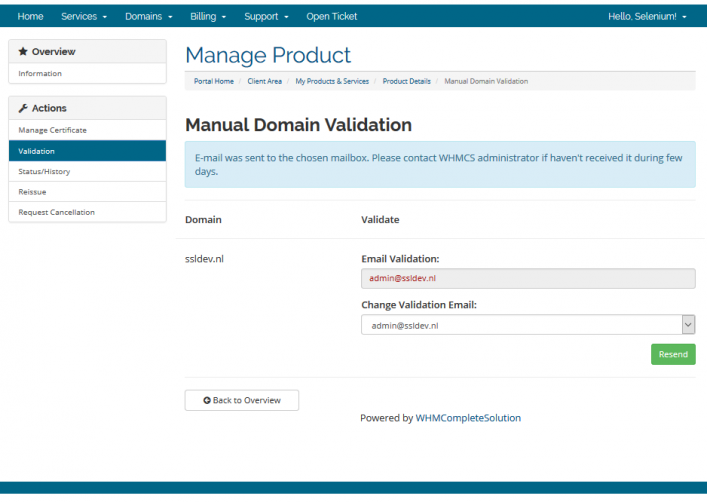 Intergration with cPanel, DirectAdmin and Plesk. 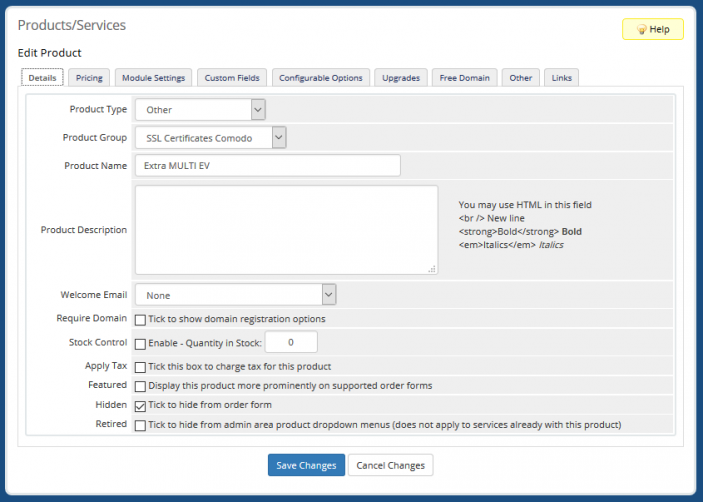 Automated import of all SSL products Xolphin offers. Automatic Certificate renewal and invoicing. Use of the WHMCS SSL Module is totally free, you only need the login credentials from your Xolphin reseller account to use the module. Don't have a Xolphin account yet? You can register directly for a reseller account, there are no costs involved in creating a reseller account. Dutch and English user guides can also be found here. Questions or remarks? Please contact us at support@sslcertificaten.nl or 088 - 775 775 1. Completely paperless EV process, Comodo EV certificates delivered within a day! Experienced and extensive support with an average response time of 15 minutes. Xolphin helps with securing your online communication. Our team of 20+ skilled employees provides SSL certificates and Digital signatures from Comodo, Symantec, GeoTrust, Thawte and GlobalSign. You can rely on our expertise for your requests and technical support. Since 2002 we have become the largest supplier of SSL certificates in the Netherlands. Xolphin is WebTrust and ISO 27001 certified and therefore meets strict guidelines, allowing us to authenticate orders ourselves and thus quickly deliver your certificates. The issuance of Comodo EV (Extended Validation) certificates normally happens within a day and is completely paperless. Xolphin is known for it's rapid issuance, expert support, 24/7 availability and the lowest possible price. Resellers benefit from additional discount on orders. Xolphin also provides digital signatures for signing e-mails, documents or software, and vulnerability scans to scan websites for vulnerabilities, malware and incorrect settings. Unfortunately the module has bugs and the developers does not fix it. The code is ioncube protected, i find this quite confusing why a SSL company must protect the code. Never saw this on other SSL modules from providers (namecheap etc). At least the support answers mostly fast. 3 stars.